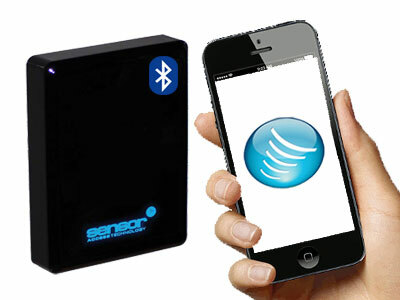 Bluetooth connectivity technology is a recent development in access control, offering the ability to control your system using just your smart-phone, as well as an alternative authentication option. This works by allowing users to open doors from a distance by simply using their phone. The Bluetooth signal can be activated either by using a gesture such as rotating the phone or from pressing a button within a phone application. By combining the phones own authentication facilities with the Bluetooth application, two factor authentications can be achieved for extra security. Bluetooth readers are therefore providing a simple and secure identity management process that is both user-friendly and convenient. Bluetooth technology is very apt for our current climate, with increasing numbers of mobile phone users. This new technology will offer a convenient yet very high security access control solutions while providing an overall user-friendly experience. Keeping the current SF, Mifare or SP technology and combining it with a Bluetooth antenna will offer an upgrade path to existing system to move on to Bluetooth whether it be for the benefits or Bluetooth range or higher level of encryption and security.